When: Usually on the first Saturday of every month (except January and February), 10.00am - 3.30pm, the Bailies run voluntary work parties. For all our planned future dates please see our Events. Where: At different location around the hill. 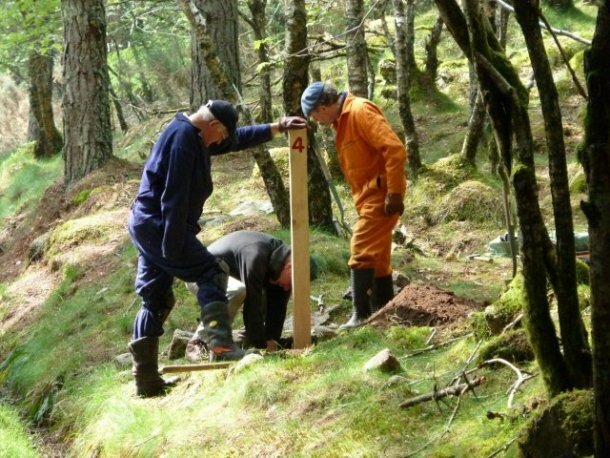 What is involved: The work is varied including scopes such as path construction or maintenance, tree planting, cutting down of small trees and shrubs and maintaining archaeology sites. What to bring: Tools and gloves are provided and there is first aid cover. Bring your own packed lunch and wear outdoor clothing and boots. This work is suitable for 14 year olds and over (note if under 16 years old you need to be accompanied by a responsible adult). The work parties are not suitable for dogs! 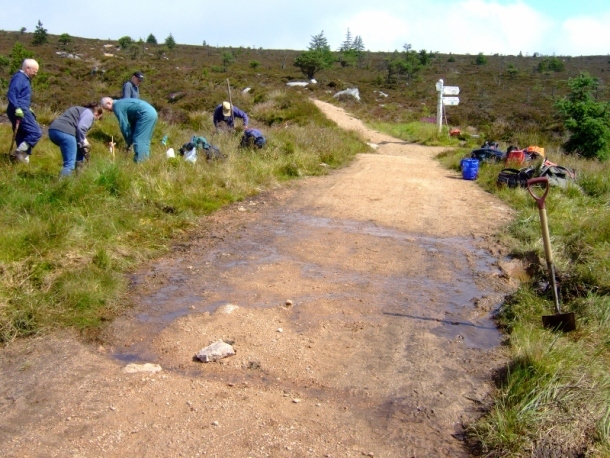 Joining the work parties is an opportunity to support looking after and maintaining Bennachie for the future generations. In addition, it is a good opportunity for you to learn more about the hill past and present from others involved. New volunteers are always welcome to join our work parties. For future planned work and reports on completed work see below or our Events or Contact Us to join our mailing list for regular email updates. 2019-12-07 Every month the Bailies run voluntary work parties at various locations on the hill. 2019-11-02 Every month the Bailies run voluntary work parties at various locations on the hill. 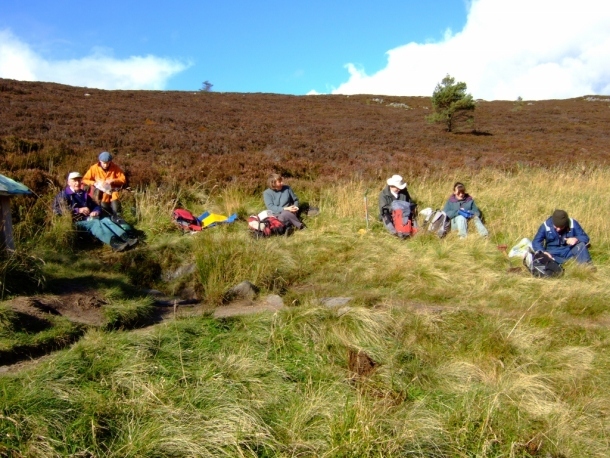 2019-10-05 Every month the Bailies run voluntary work parties at various locations on the hill. 2019-09-07 Every month the Bailies run voluntary work parties at various locations on the hill. 2019-08-03 Every month the Bailies run voluntary work parties at various locations on the hill. 2019-07-06 Every month the Bailies run voluntary work parties at various locations on the hill. 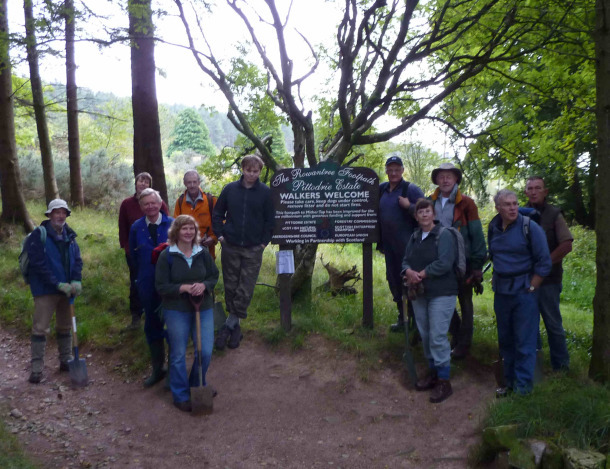 2019-06-01 Every month the Bailies run voluntary work parties at various locations on the hill. 2019-05-04 Every month the Bailies run voluntary work parties at various locations on the hill. 2019-04-06 Every month the Bailies run voluntary work parties at various locations on the hill. 2018-12-01 Every month the Bailies run voluntary work parties on the hill. The work parties are for 14 years old and over and are usually held on the first Saturday of each month, 10am-3.30pm (approx). 2018-11-03 Every month the Bailies run voluntary work parties on the hill. The work parties are for 14 years old and over and are usually held on the first Saturday of each month, 10am-3.30pm (approx). 2018-10-06 Every month the Bailies run voluntary work parties on the hill. The work parties are for 14 years old and over and are usually held on the first Saturday of each month, 10am-3.30pm (approx). 2018-07-07 We will be working around the Colony Houses and the Pond.